The CF-2B is the replacement for the CF-2A, bringing a new more compact service module structure and an improved Launch Escape System. For added flexibility the CF-2B is launched on a modified version of the ‘Griffin A2’. 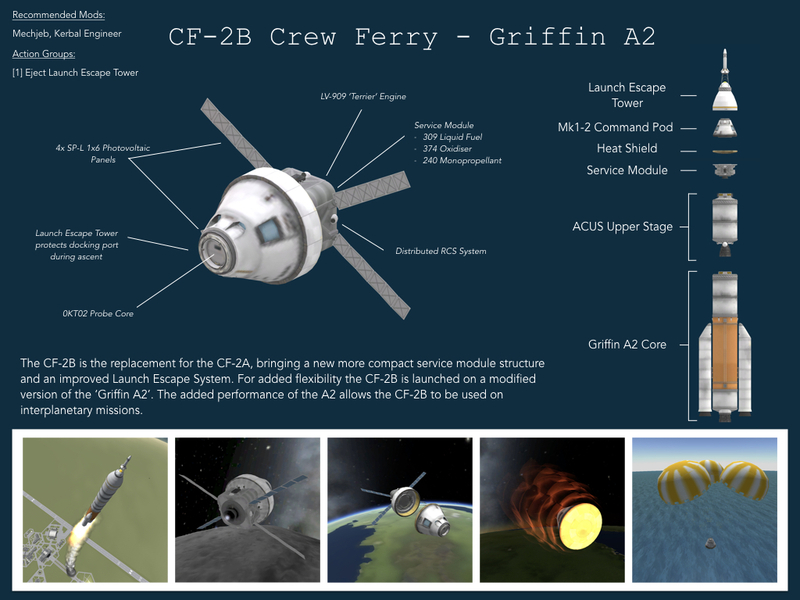 The added performance of the A2 allows the CF-2B to be used on interplanetary missions. A stock rocket called CF-2B. Built with 150 of the finest parts, its root part is Mark1-2Pod.